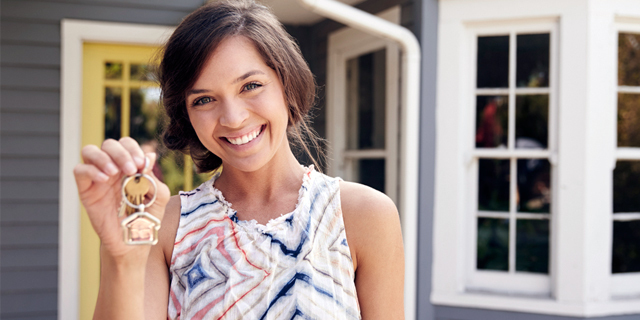 Women are redefining how homes are bought and sold. In the U.S., single women have grown to become the second largest cohort, after married couples, of home purchasers. A recent report by the U.S. National Association of Realtors (NAR) revealed that single women are more active in buying homes and condos than single males. Single women bought 18 per cent of the homes sold in 2017. Single men, by comparison, accounted for just seven per cent of the home purchases. The change in homebuying demographics has also alerted the builders who responded by customizing the new dwellings to conform to the evolving taste preferences. In North Carolina, for instance, more than half of the homes in one new development were bought by single women. Why are single women more inclined to buy than single men? Experts cite differences in priorities where women see purchasing a home as an investment while men are concerned with the need to relocate for employment and believe owning a home might prove onerous for relocating. The Canadian data on homebuyers is not readily available to determine the share of homes purchased by single men and women. Yet, some similarities between homebuyers in Canada and the U.S. do exist. The NAR report revealed that first-time homebuyers comprised 35 per cent of all homebuyers in the U.S. Among the Millennial and Gen Y cohorts (those aged 36 years or younger) who purchased homes, 66 per cent were first-time homebuyers. At the same time, the Millennials and Gen Yers together accounted for the largest age group of homebuyers. The Canadian stats are similar. Of the 625,000 homes sold between 2013 and the first quarter of 2015, almost 45 per cent of the homes were purchased by first-time homebuyers. The Canadian Millennials and Gen Yers (aged between 18 and 34 years) constituted the largest age group as they acquired 41 per cent of the homes sold. The demographic breakdown for Canadian data revealed that women accounted for 49 per cent of all home purchases. The Canadian data is based on a smaller survey of 800 respondents by Bond Brand Loyalty Inc. and does not drill down to comparisons between single females and males. Yet, other related data on searching for homes suggests that women are more actively browsing for homes than are men. Using six million online searches by potential homebuyers in Canada, Point2Homes — a real estate market intelligence firm — estimated that women constituted the majority of those searching for homes in Canada. They analyzed online searches over a three-month period in 2016. An age-wise distribution revealed that Millennials were the most active in online searches for homes priced between $300,000 and $400,000, which was significantly below the average home price in 2016. The changing demographics in Canada suggest that gender differences in homebuying are likely to increase in the future as the proportion of young women graduating from university has been increasing over time. Already, 41 per cent of the women in Canada between the ages of 25 and 34 years had a bachelor’s degree in 2016. In 2006, a little under 33 per cent of the women in the same age group possessed a university degree. In fact, since the early nineties, the proportion of young women with a bachelor’s degree has been higher than the comparable proportion for men. For the first time in 2016, women accounted for a slight majority of young Canadians with an earned doctorate. As an increasing proportion of young women earn university credentials, their earning potential improves as well. Women with a bachelor’s degree earned 40 per cent more than women with a college diploma and 60 per cent more than those with a high school diploma. Going forward, as their incomes grow, Canadian women are expected to continue to invest even more in housing, as data in the U.S. already suggests. The housing industry must be cognizant of the demographic shifts in housing demand and be prepared to cater to a market where woman homebuyers will be the dominant segment.